I read her text. I wiped the sweat out of my eyes and re-read the text. 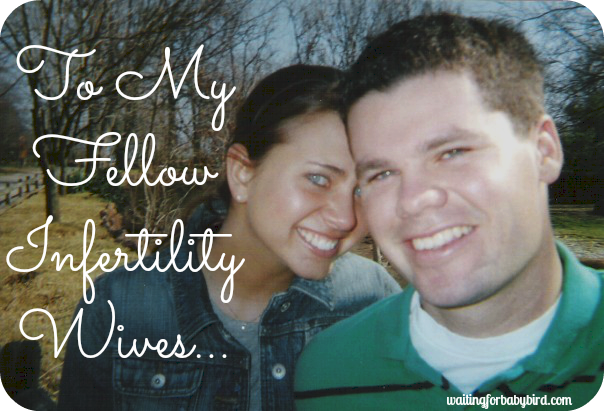 “Have you ever considered writing a guest post for me…maybe a post from a father’s perspective…?” I got her request over a week ago and I have been struggling to get my thoughts together ever since. And it’s crazy. Because normally I can talk your ear off, but when it comes to gathering thoughts and putting words to emotionally charged issues, I am like almost every other man on the planet. My words get twisted, my thoughts run together, I get frustrated and pretty soon I start looking for something else to think about. And I know that right now there are some of you starting to think “What’s wrong with this man?” Well…it’s simple…“Brain Damage”! Yes you read it right; I have brain damage. It occurred at about six weeks after conception. Because like every other male child, my brain was flooded with testosterone. It may seem like a small thing, but this testosterone bath actually killed or severely damaged areas of the brain that are used for verbal and emotional processing. I now struggle to put words to my emotions and feelings, and I only want to communicate about topics and issues of which I understand and have some control (Chapter three of “Bringing up Boys” by Dr. James Dobson is an eye opener). I don’t say this to bore you and I hope you’ll stick with me for a minute, because this simple bit of information explains why communication is often strained between fathers and daughters. 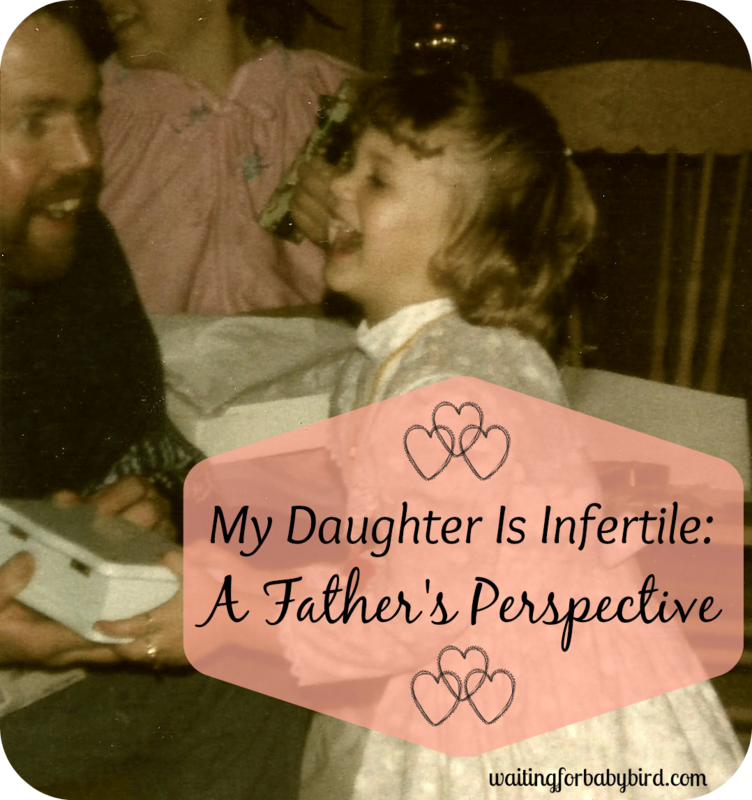 Let’s say, as a daughter, you don’t understand why your dad can’t or won’t talk to you about your infertility issues. You want to tell him about your struggles, but whenever you begin to speak, he never seems to hear a word you say and when given the chance, he quickly changes the subject. Second: he can’t fix the problem; and if a father can’t fix it, and if he can’t understand it, he gets frustrated and begins to feel like a failure as a man and especially as a dad. The easiest thing for him to do at this point is put the issue in a box, tape it up and put it on the top shelf in the very back of his damaged brain. I did not say this was the right thing to do, I am only telling you how we think and feel from a father’s perspective. But let’s be clear…we may not understand your longing and pain, but that does not mean we don’t care. As fathers, we care. We care very, very much! We just have trouble putting our feelings into words and actions. So dads…if you are reading this today, please listen up. Because I want to give you some pointers. You may be at a loss for words, but that is no excuse. Walmart, CVS, Hallmark and even the Dollar Store all have cards with lots and lots of words. All you have to do is sign your name and send the card. Or how about this: Why not go out and buy a first? Buy the first baseball mitt for the grandson that only exists in the twinkle of his daddy’s eye, or how about a first doll for the granddaughter that for now, lives only in the heart and mind of her mother–which is also your baby girl. We have all heard it’s the thought that counts, but that is a bunch of hogwash! A thought without an action counts for nothing. Dads, if you find yourself thinking of your daughter during the day, send her a text, give her a call, or better yet pray for her. No one understands our struggle and the workings of our damaged brains better than our Father in heaven. He can give us the right words, He can give us the ability to better understand and He can give us eyes to see the things that are not yet seen. Seeing the unseen takes faith and a dream. So start dreaming with your daughter. If you want her to know that you really care, let her know that you share in her dream of one day having a child of her own. You don’t have to understand it, and you don’t have to fix it. All you have to do is catch hold of her dream and dream with her. She may be grown, but she is still your baby girl. Don’t let your damaged brain stand between you and your daughter. Listen to her dreams and try to find your words. Put actions to your thoughts, and let her know that you are doing your best to smell the color blue. And finally, to all the daughters that begin each day wondering if next year will be different, to the grown up little girls who still long for their daddy to “see my baby”, to the daughters that have no one to call their father, and to my own baby girl…There will always be some one who will tell you that you need to face reality and get on with your life. They will tell you that your situation is hopeless and your dream is actually a fantasy. They will tell you that nobody really cares. But here is the truth; you have a Father in heaven that cares. He knows your every thought, hope and longing and He is in the business of making the impossible, possible. So talk to your DADDY in heaven and thank Him for what He has done and what He is going to do. And one day when the impossible happens…when your dreams become a reality…be sure and let me know what the color blue smells like. Wow! You have an awesome Daddy! I love the footstool idea! What a great way to “build” towards the future! 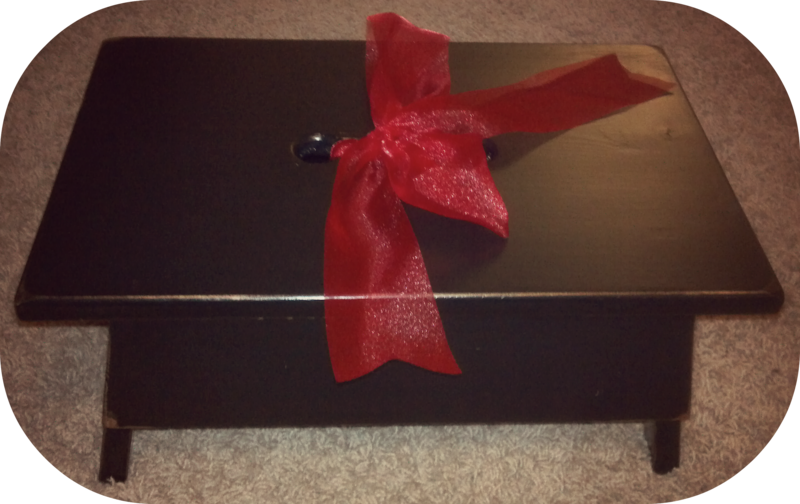 It was such a sweet surprise when he gave it to me. I think I wrote a post about it. I’ll have to find it and link to it from this one. Sniff, sniff, this was great! Way to go grandpa! This is simply beautiful. You clearly have an amazing father and I am glad that you are dreaming together! Your Dad is lovely. 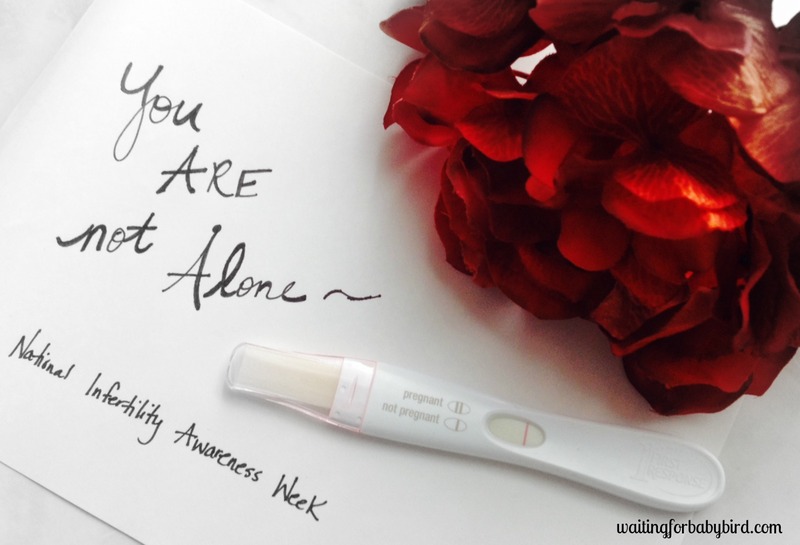 Beautiful post – brought tears to my eyes! awe thank you so much! He has been a good supporter…I don’t think he knew what to do or say at first but somehow he has figured it out 🙂 And for that I am thankful. Holy wow. I was crying the whole way through. What a great dad! right? When he sent it to me a couple of days ago I couldn’t read it all without needing to stop and wipe away the tears. Fantastic! So heartfelt. It makes me want to have my momma write one! You should! I tried to get my Momma to write one but she refused. LOL! This made me cry so much (& that wasn’t even the Clomid!). I was in tears too and I’m not on anything either! hehe. I think sometimes just receiving that gift in faith from someone else is so needed on this journey. Because sometimes? 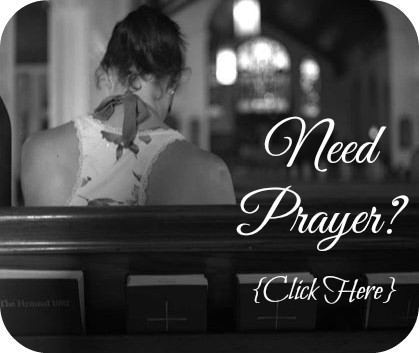 On those rough days when our hope is fading and our faith is wavering, we need to know someone else is hoping, believing and praying for us too. And who better than someone close to us like our daddy’s…or our mommies…or our brothers or sisters. Okay, so that made my cry and I can’t exactly put my finger on the reason why. My father died when I was little. You may be unlucky to still be longing for a baby bird but blessed to have this guy! I know what you mean about crying and not really knowing why! LOL! When I opened up my email the other day and saw he actually did write me a post, I had to stop several times to wipe away the tears to keep reading….and I couldn’t pin point the reason why either! LOL! I sure am one lucky lady! I am very blessed! Well, now I’m tearing up…stupid estrogen! Haha! In all seriousness, this is great! Way to go “hopeful Papa”! Future baby bird is one lucky little guy. And, Elisha, it’s obvious where you get your writing talent and sense of humor from. Runs in the family! aw you are so sweet! He also wrote a special little note and verse on the bottom of the stool. It was so sweet and thoughtful. So beautiful and amazing. What a great dad to write this for you. Along the same lines, my sister gave me a card a few weeks ago, just letting me know that she might not always know what to say to me, but she appreciates that I can confide in her during this journey and that she cannot wait for the day that I have the news that she will be an auntie again. It is always comforting to know that we are not alone on this path and that others are rooting for us. 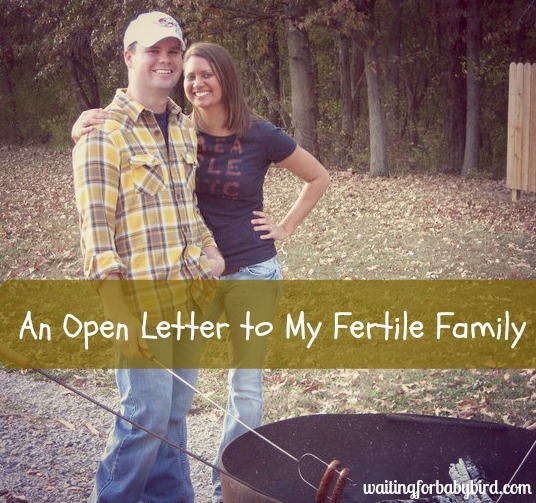 I have my follow up with my infertility doctor tomorrow to go over test results and to discuss the next step. I figured Josiah Day could be lucky for me 🙂 have fun peeing on a stick! Love the Daddy perspective. I see where you got your writing bones from! I just LOVE that your dad posted on here. Seriously. Sweetest.THING.EVER! Loved this and is so true. I am always scared to talk to my Dad about my struggles because I can see the hurt and the frustration in his eyes when he realises for the first time that he cant fix it. Then I am hurt and frustrated because my father in heaven can fix it and I cant understand why he won’t, what button do I have to press :). Wow what an awesome man and father. What a great Grandpa he will be one day!! “And one day when the impossible happens…when your dreams become a reality…be sure and let me know what the color blue smells like.” This is by far my favorite line of your papa’s post! He’s so hopeful and has undeniable faith, just like you. He has increased my faith and my hope. Thank you for that! This was lovely… made me cry… Be blessed! Thank you so much for your sweet comment! Hugs to you! Not having my father around anymore made me wonder how he would also handle my current condition. Though i’m also pretty sure that he’ll be able to figure it out, just like this amazing father did. I am positively imagining my papa doing this thoughtful gestures for me, showing his love and support, which bu the way I always am thankful for to God. My father is truly a blessing to me. I miss him. But I am also hopeful that he is now in Heaven watching over me and praying for us. Advance Happy Father’s day Pa! This is so sweet! 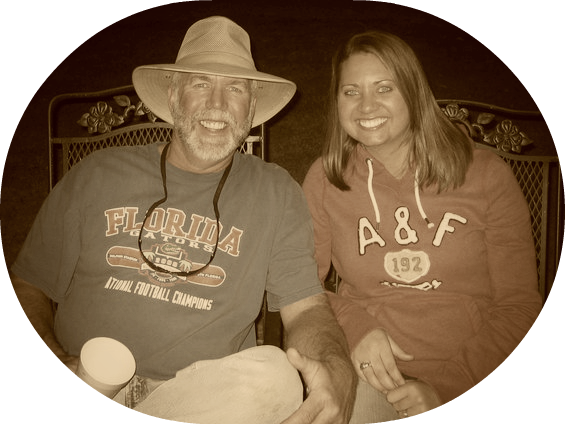 I am blessed to have to best Daddy ever who is not afraid to talk about our struggles. He cracks me up most of the time because he wants to understand all the terminology and what actually happens (yes all the IVF details he loves knowing them all). I could not ask for a better Daddy and I think your dad did a great job with putting this into words. Awww…this is so precious, Elisha! I am so thankful you opened this up for your Daddy to post here. He sounds like such a dear, wise, and caring man. God bless him for being so supportive of you and your dream, and God bless you for opening your hurting heart to him and allowing him to share your grief. Cherish your moments with him…he sounds like a great father, and one day, he will be a great grandpa to your sweet, baby bird. 🙂 Love you, sweet friend. I love this. What a blessing!! Praying for you. We were told by a physician that we had a “snowballs chance in hell of ever getting pregnant”. I am happy to report that it has snowed in hell 5 times! I know that we are the exception. However, miracles happen every day! Elisha, thank you & your father for being willing to share this with so many of us who would love to hear these things from our own fathers. If my Dad could ever express himself I imagine him saying what your Dad shared, but he’s a quiet, stoic, old school kind of Dad & so the words go unsaid except thru the hugs. 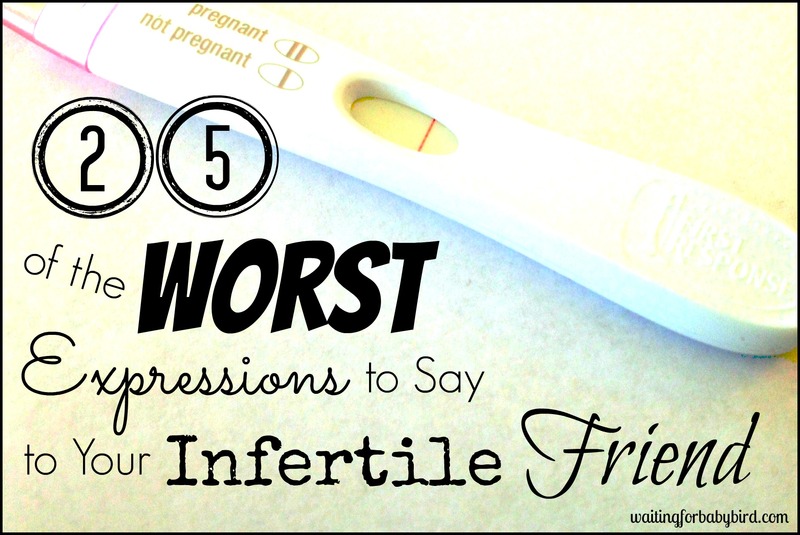 We have been married 10 years next month & r still waiting on our own baby bird & gone thru the alphabet soup of treatments, I too have PCOS. I just recently found your blog & signed up for your posts which r truthful, genuine, & make me laugh & cry. I believe God led me to it/you to answer my prayers & ease my burdens in this journey. Thank you for your blog! Love the colour blue part. Beautiful. 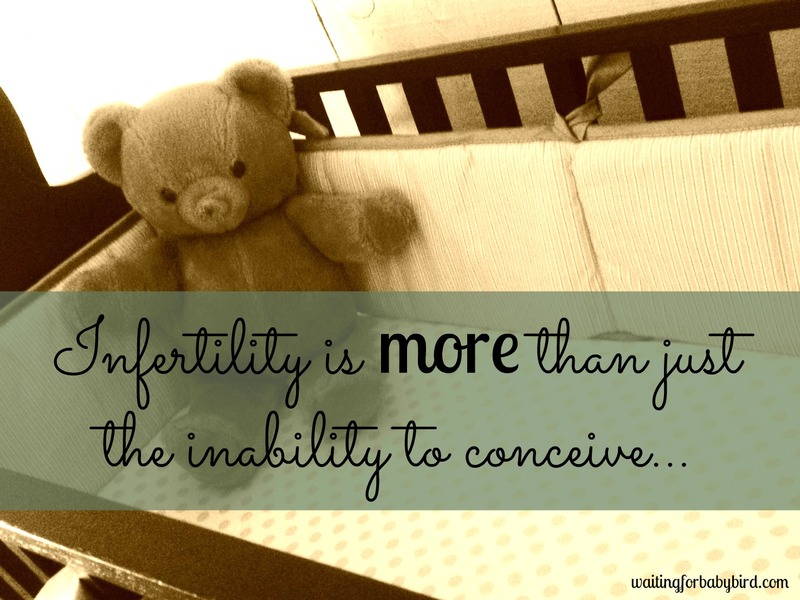 I have often tried talking to my dad about the infertility struggle that my husband and I have been facing. Sometimes he seems so disinterested but other times we has some encouraging words to say.. I pray for you, your husband, your families, and future baby bird. Thanks you so much for writing this! I know my dad hasn’t known what to say and I haven’t known what to say to him. Your incite really helped me to understand his perspective better. Thank you! Thank you also for all your posts they really encourage me! Oh my word this is beautiful. Thank you for sharing! Jordan, thank you so much for reading and commenting! I wanted to whisper some words of hope into your ear if that is okay? I want you not feel like a failure. I bet more than anything your parents do not few you in that manner. Instead, that is just the enemy trying to beat you down and make you feel worthless. But you are not. And he knows it too but he has to make you feel that way so you feel discouraged and defeated. Because he knows that when you feel discouraged and defeated? He wins. He wins begins our hope is lost and our faith is shaken. So don’t listen to those lies. Don’t let him call you something that you are not. You are fearfully and wonderfully made! You are alive in Christ. He resides in you and He is not failure…therefore neither are you. See yourself as God sees you sugars! That’s the best way to win this battle and defeat the enemy. Wow!! I love this story. I struggled for years to get my baby and I know Jesus has a plan for us all. Thank you so much for sharing this with me and God bless.